There was a time when finding duck hunting leases in Texas could take months. You had to first “hear” about a site, and then you had to either call or visit the site and then you had worked out the details if you could work out the details. All in all, this could be very time-consuming, and there was never any promise that you would be rewarded for all your hard work. That has now changed. 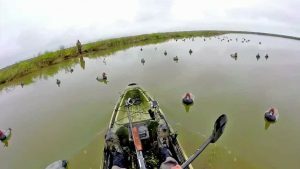 It is easier today to find the best leases for duck hunting in Texas than it ever has been. By doing an online search, you can not only find the sites and clubs that are making offers, but you can narrow your search to include only those sites or organizations that meet your prerequisites. As you probably already know the best hunting is either in the wetlands or on the coast. The wetlands, also known as playas, are an excellent choice if you are limited to travel, and you live a good distance from the coastal sites. The coastal regions have more sites, and offer more deals than the playa sites, but, again, you have to be able to get to the coast to enjoy them. The above is just one way that you can use the Internet to narrow down your search. You can limit your search to the wetlands or playas, or you can limit it to the coast. Duck hunting leases in Texas are available statewide and on various type venues. 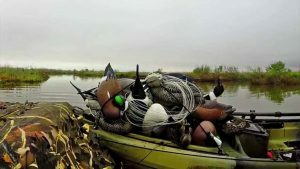 For those who may be new to duck hunting, in the panhandle, most of the hunting is done on the playas. It should be noted that these areas can become packed with birds during the migration season. In central and east Texas, most of the hunting are done on either large lakes or small- to medium-sized impoundments. These areas can range from one acre to twenty acres and are located in many areas which make them an excellent choice for those who can only travel a short distance. Of course, the most popular area for duck hunting is along the Gulf Coast. The Gulf Coast is known worldwide for its fantastic duck and goose hunting. For those who visit the coast, they can expect to harvest an incredible array of birds including the prized pintail, redhead, scaup, teal, bufflehead, widgeon and gadwall. As you can see using duck hunting leases in Texas can be the way to have the best experience with the least amount of work. Do an online search and see for yourself just how popular these agreements have become.